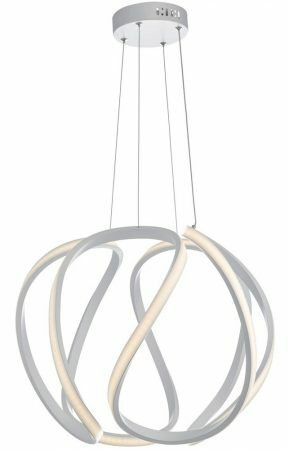 This Dar Alonsa large LED pendant ceiling light sphere in white finish is contemporary and stylish. A delicate design featuring a curved linear design forming a sphere, with one side lined with energy efficient LED lights. The flowing band of LEDs adds a sense of lightness and movement to a room whether switched on or off. Illuminated, it creates crisp even lighting and is suspended by height adjustable wires. This on trend pendant creates a central focal point for any room and is perfect for any living room, dining room, hallway or bedroom. The white finish and linear design give this ceiling light a bright modern feel that will complement a variety of interiors. A class 2 double insulated ceiling light no earth required. 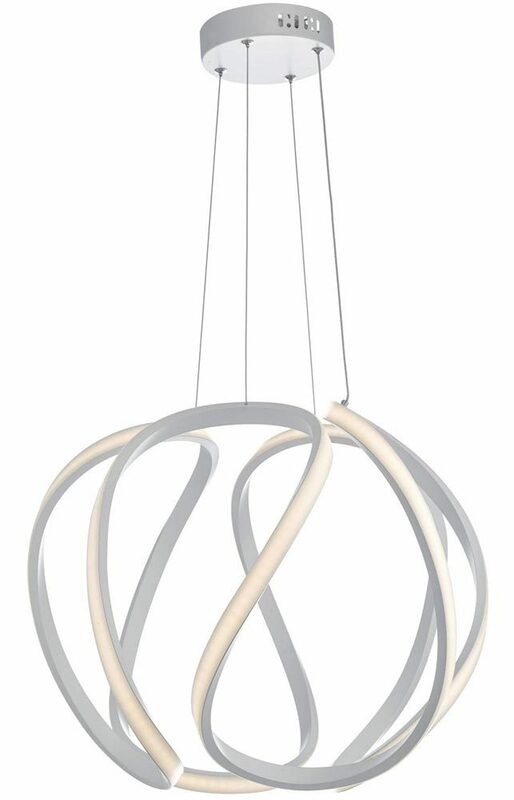 The Alonsa LED lighting range includes a smaller coordinating pendant that can be viewed below. Dar lighting is widely recognised as one of the leading suppliers of a full range of innovative, quality lighting products such as the Alonsa large LED pendant ceiling light sphere in white finish you see here.